This could be the last best time to buy your new home for the next decade! 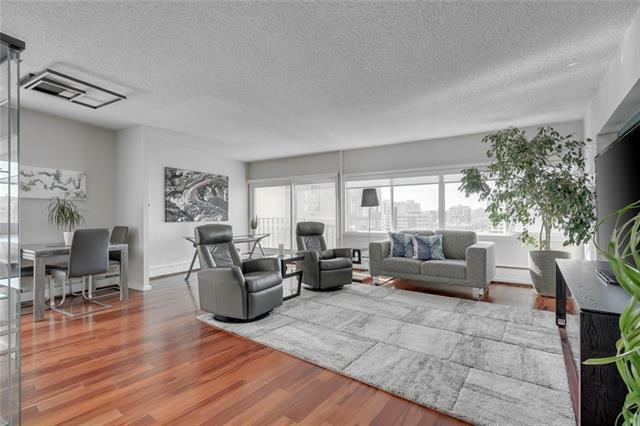 Enjoy spectacular sunshine and expansive city views from this spacious corner home in the Exud. 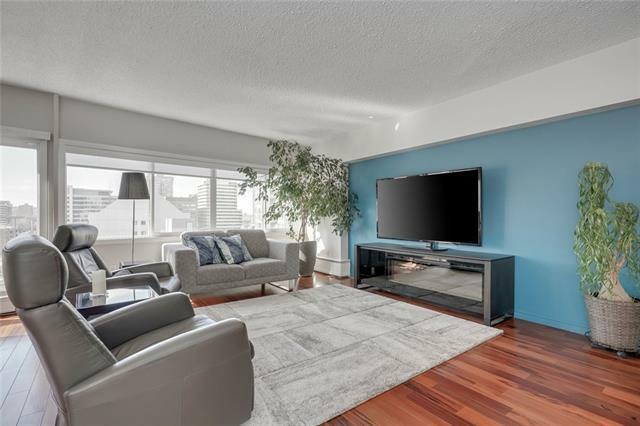 Beautifully updated with a Scandinavian flair, your new home gives you tons of space with two large bedrooms and two full baths. 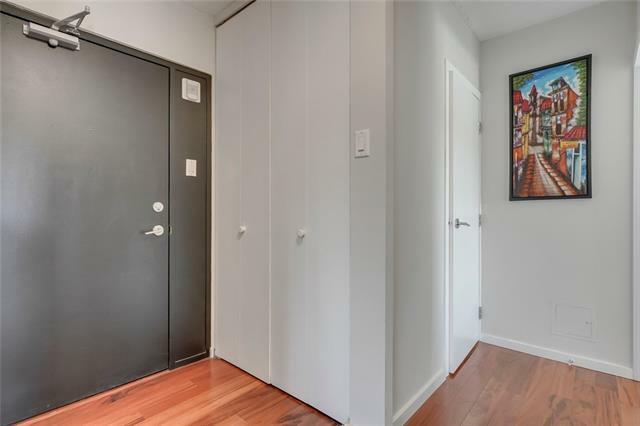 Hardwood floors throughout, contemporary kitchen with updated Stainless steel appliances, in-suite full size laundry, vinyl windows and newer window blinds all add to the value of this home. Enjoy the comfort of a titled underground parking stall and separate storage locker. Walk to work or to the action of the Red Mile. Your furry friends (max 2) are welcome with board approval (no weight restriction). 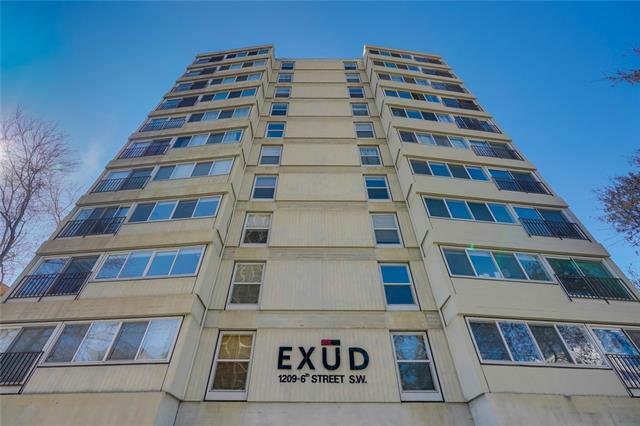 A quiet location close to great amenities, the Exud is a solid, secure building in a perfect location.